This book is a now classic social and economic study of the origins, apogee, and decline of coffee in the Parahyba Valley of South Central Brazil. 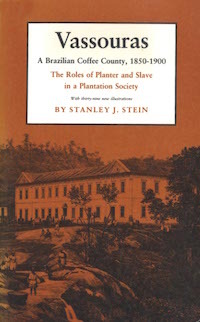 Local society, the free-planters, professionals, tradesmen, and lower class citizens-and the slaves, are viewed through the routine of plantation life. The author shows how abolition, erosion, and bankruptcy transformed virgin forest into a wasteland of eroded hillsides and abandoned towns, of disillusioned planters and poverty-stricken black freedmen.